Kids.acadEMy started as the educational charity project of the company EveryMatrix. This project ran for three years in two of Bucharest’s Child Protective Services daycare centers: “Pinocchio” Center and “Casa din Tei” Center. It has recently evolved into a full grown Non-Governmental Organization (NGO) and continues its activities, its mission remaining the same: to help children by offering them the chance to access quality education that would be otherwise unavailable to them, in these three topical domains : Computer Science, Math and English. The project started its teaching activities in January 2015, with Pinocchio Center being the first to benefit from our program. Prior to this, the center was equipped, by EveryMatrix, with a full and modern computer lab, including furniture, computers and accessories, tablets and a large LED TV . We first started with teaching Computer Science and we registered remarkable progress and a great deal of enthusiasm, openness and willingness to learn from the kids. After about six months of activity, thoughts of expanding this program to another center emerged and concluded quickly in the form of another computer lab at the Casa din Tei Center. Starting from August 2015 we started preparing the children of this center also. 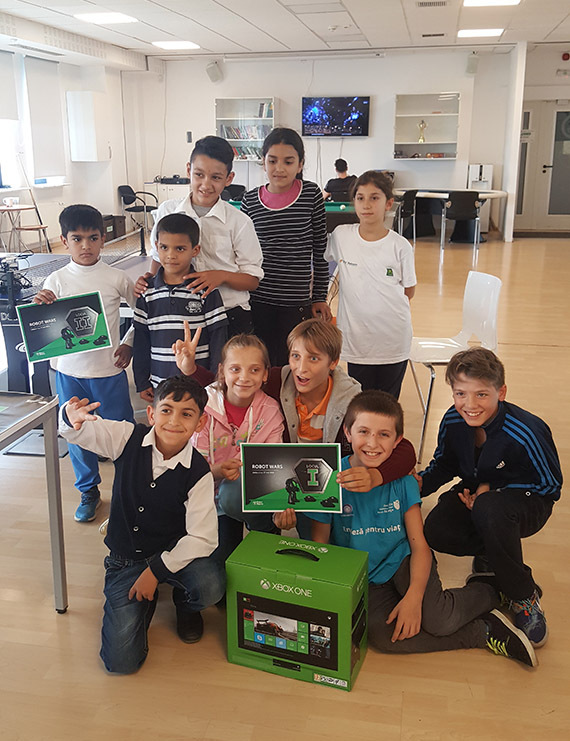 The mission of this project is to break these kids from their social heritage by providing them access to things that wouldn’t otherwise be available to them in normal circumstances: computers, tablets, smartphones and knowledge. We want these children to be able to access higher grade education and become an inspiration for their community. In order to establish a greater bond between us and the children and in the same time give them the vision of what they can achieve, the children visit our company on a regular basis and are being involved in activities that can further open new doors in their development. Given the good progress and considering the needs of these children we expanded the project further, by starting similar Math and English teaching programs in these centers. The continuous progress and good results are just an incentive for further expansion both to new centers and new activities.